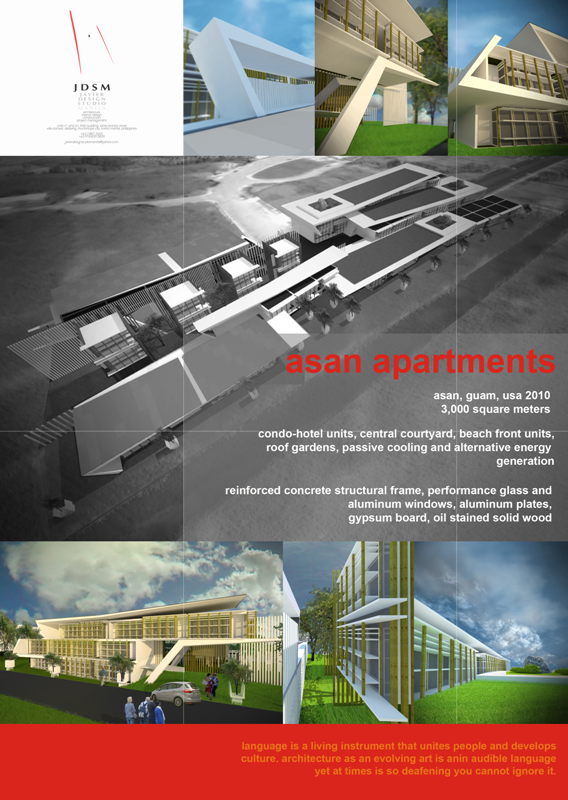 Located in the capital of Guam, this 60 unit serviced apartments are designed to be LEED compliant in fulfillment of the regulations of the Obama government for accreditation as housing of military personnel of the future Apra Naval and Andersen Air Bases. These bases are the soon-to-be evicted offshore military unit at Okinawa, Japan. Engineering and LA consultants are yet to be nominated. The project is under the portfolio of our Hong Kong office in collaboration with an American executive architect.